Recent cryptographic research has devised several new algorithms and protocols with a potential of mitigating several of the most ardent security and privacy threats, existing in currently available public cloud services. Nevertheless, such cryptographic schemes often exhibit counterintuitive functionality to end users, or they work differently to other already established traditional schemes with which users are already familiar. 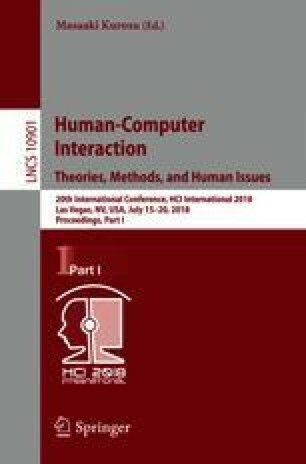 A practical solution to address these problems involves a human centered design approach, deriving Human Computer Interaction (HCI) requirements from consultations and extensive testing with experts, prospective end users, and other stakeholders. The European Horizon 2020 project PRISMACLOUD “Privacy and Security Maintaining Services for the Cloud” uses such an approach and provides HCI patterns as part of its proper cloud service development methodology CryptSDLC to communicate HCI requirements to cloud service designers and user interface implementers. In this article, we present several new cryptographic cloud services, e.g. for redacting digitally signed data, and for redundant storage and sharing of confidential data in a public cloud scenario, together with three example HCI patterns for specific interactions of end users with these services. We show how these patterns were elaborated and validated in practice to prove the suitability for their intended purpose. To summarize, we give an account on our practical experience during the actual prototype development and implementation and show how they constitute an essential element of the CryptSDLC development methodology. The authors’ work is supported by the European Union Horizon 2020 research project No. 644962 PRISMACLOUD “Privacy and security maintaining services in the cloud”; (2/2015-7/2018); online (8.2.2018): https://prismacloud.eu.